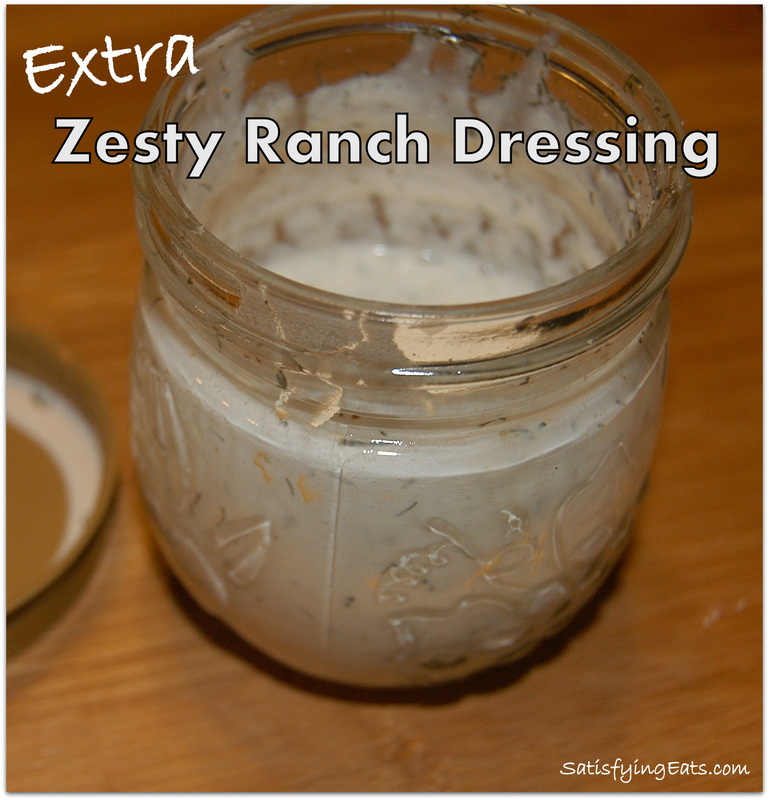 I LOVE ranch dressing, but ONLY if it is homemade. 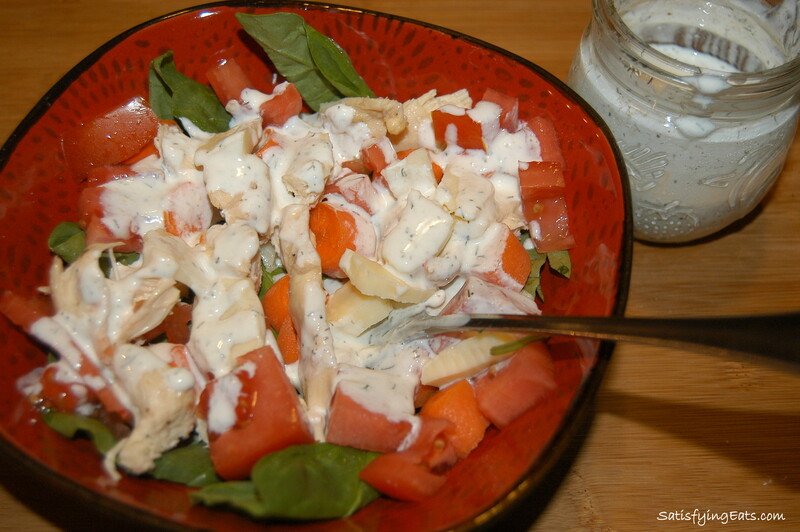 Homemade ranch is so easy, and after I show you the ingredients in the store bought stuff, you will NEVER buy it again! They should call it “The Hidden Valley of Questionable Ingredients” after taking a look at the label. Just say NO to the yucky and tasteless stuff in the bottle and make your own following my EASY recipe! What do you use Ranch Dressing for?? Pizza? Veggies? Imagine these recipes slathered in Extra Zesty Ranch Dressing! Smoked Chicken Recipe Coming Soon! Dairy-free: Substitute homemade olive oil mayo (I have a GREAT recipe in the cookbook) in the place of the sour cream. When choosing sour cream, make sure there is only one ingredient…Cream! Use half mayo and half sour cream. Just hold off on the salt until the end and season to taste! Enjoy! Want a Mexican Ranch? 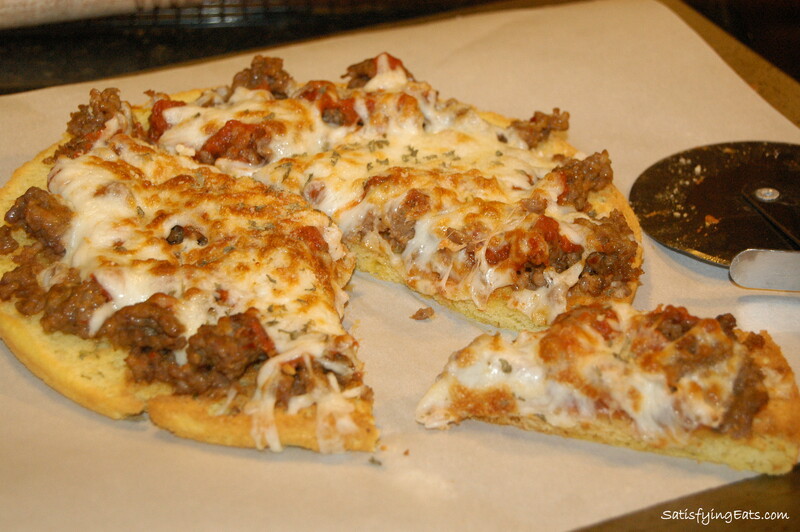 Hold off on the salt and add 1 tbsp (or more) or Taco Seasoning! 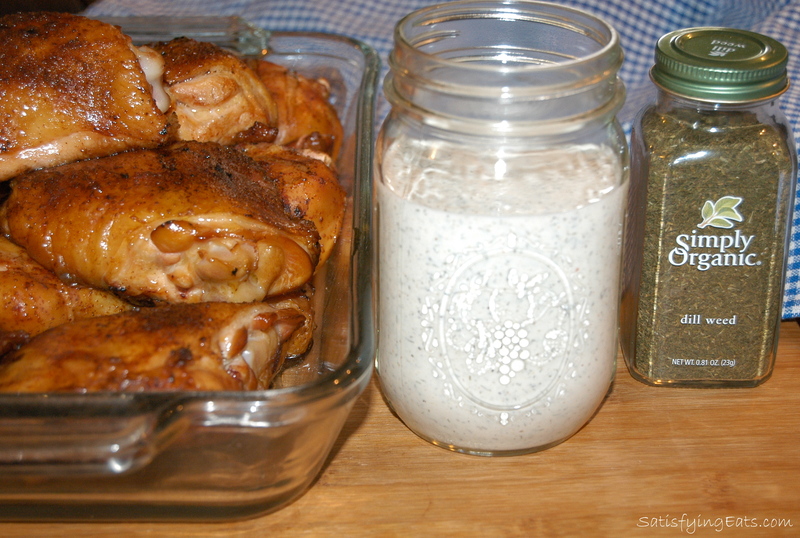 Peppercorn Ranch: Be sure to use FRESH cracked pepper. 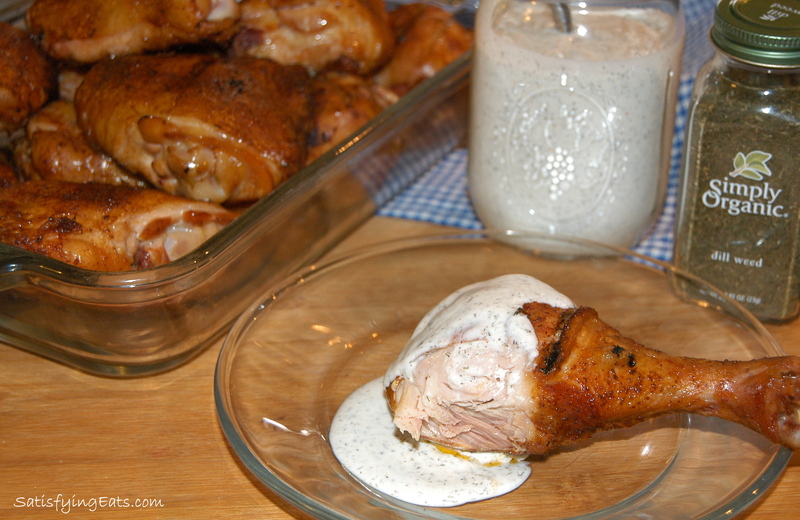 Blue Cheese Dressing: Omit the dill and add your favorite blue cheese. Blend all ingredients in medium bowl then transfer to mason jar. Use to season breadcrumbs, or sprinkle on your favorite meats and veggies. Makes a 1.5 cups; >2 Net Carbs per 2 tbsp. In medium bowl, blend all ingredients well with whisk. Taste for seasonings and adjust if needed. Store in for refrigerator for up to 1 week. You will never buy bottled again! You’re welcome Nancy, I hope you enjoy it! If I cooked all day, every day for the rest of my life I couldn’t begin to make all the things I want from your recipes! I’m old so believe me, this is true! 🙂 However, I will be making this zesty ranch dressing TODAY! I even have everything I need. 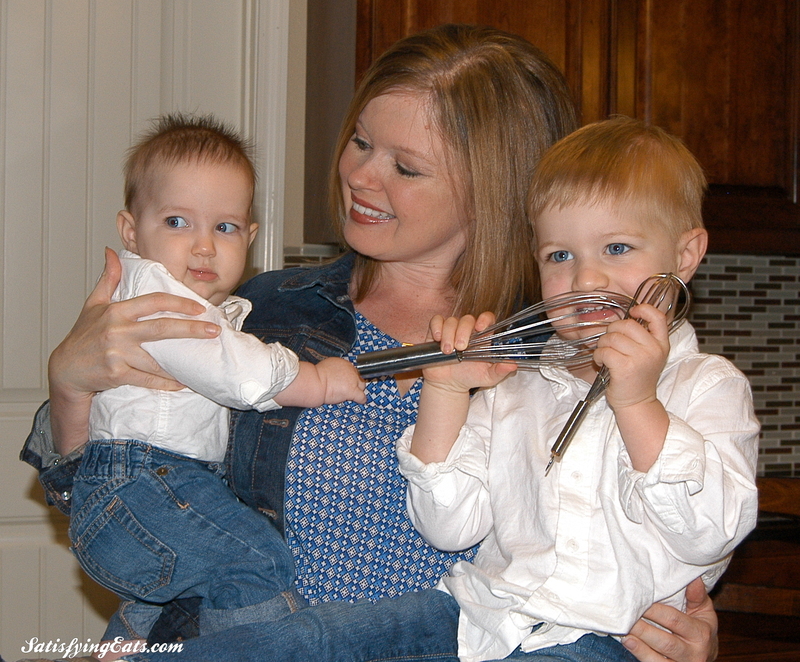 Thanks for your talented unending supply of great recipes. – Made your coconut cake a couple of days ago and it was a huge hit. So good! Barbara, 😉 Glad the recipes are appetizing to you! 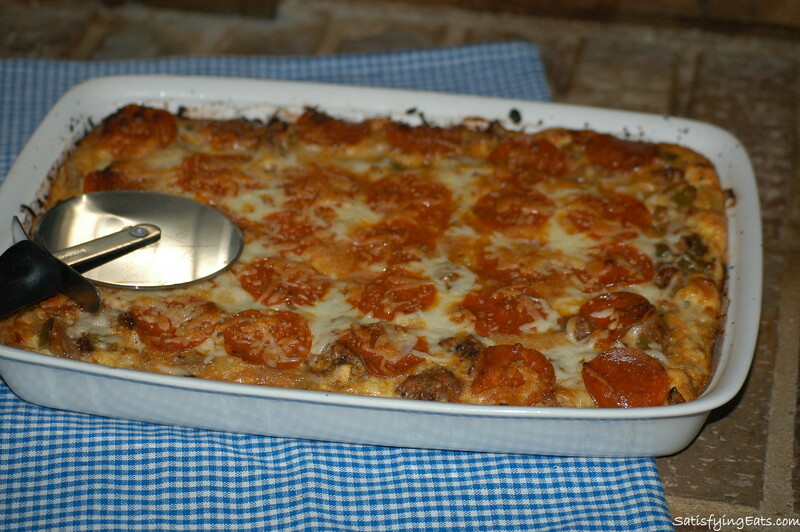 Some people are addicted to tv or diet sodas, I am addicted to creating grain-free recipes! I am glad others are benifeting from my addiction! lol I LOVE the coconut cake!! Hope you enjoy the Ranch! Thank you so much for the ranch recipe! I LOVE, love, love ranch! Thats sounds GREAT Michelle! I love horseradish! We just made this dressing for supper. It was wonderful. The first time we have made homemade dressing and I think it was the best Ranch Dressing we have every had. I ordered your cookbook and will get on Friday, I can’t wait!!!! I Love your cookbook! Thank you for all your hard work! My Mom had given me a dry ranch recipe & I’ve mixed yours & hers. The only difference is hers also adds dry parsley & chives, yum yum yum every time! I hope you enjoyed the ranch Dawn! Love the ingredients in this recipe. I have never liked ranch dressing I guess because there is always too much twang in it for me. I have been adding a few drops of liquid stevia lately and this has made me a ranch lover. Can’t wait to try yours with my sweet addition. Can you freeze this ranch dressing for later use? Amanda, I have never tried freezing it. What I would suggest is making up the ranch seasoning and adding your liquid ingredients when ready to eat. Hope this helps!